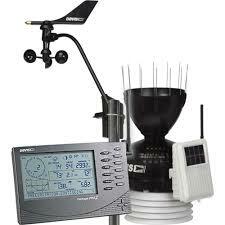 Weather Station – reasons why proper installation process is key! There are many things people take for granted around the home, but a weather station is one great component one cannot afford to ignore. Upon making purchase there are important things as the owner you need to put in perspective. To be able to fully benefit from its use, you must consider greatly the location where its places. A wrongly placed station will not give you value for money and that’s not really what you want. When it’s fixed accurately, you will be able to among other things be able to maintain and fully enjoy the accuracy that it will bring to you and your family. At the time of purchase, it is worth taking into account and considerations what kind of stations you might need. This will depend on your need. If you are a farmer, you will need one that can easily be mounted above where birds and other flying objects might not be of a hindrance. Those needing home stations can also choose to go for the wireless ones that are easily mounted on table tops. Whatever your need, having a discussion with a company representative will be of great help and might save you a lot regarding its location. There are several no no weath er station installations guidelines that any user should be well aware of. For installation purposes and before you head to start mounting the station, you should find a place where wind is not blocked. Wind plays a crucial part in the overall reading of the weather in all instances. Blocking the wind or its pathway will not give you the chance to have accurate reading and in essence this is not what you really want. Just before heading to the roof to mount your station, remember they come with batteries and mounting it so high might not give you a chance to change the batteries when there is need. Another important reason why a station should not be placed in an alley is for the reasons that it might not have enough space to collect rain. An alley usually lies between roofs and rain in very rare occasions ever finds its way there. An alley is therefore not a very convenient place to install a station. Avoid places where there are any shadows from buildings nearby. Try as much as possible to keep you station at least 5 or so feet away from any objects that might interfere or cause objections. The next place that anyone installing a weather station should avoid is a place where there are trees. Trees might seem to be the right place to install your stations but there are other disadvantages that might occur later into your use. 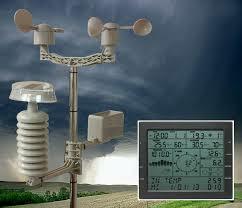 An anemometer is meant to be placed in a location with less interference and the place to do so will be an open area. It works best when mounted high in an open level area. Being a component of a station, it is of great importance that it should never be awkwardly placed for better results. The rain gauge just like the anemometer should be kept in an open place. People rarely take note of such crucial details during installation process. A station has different kind of components and uses these during data collection. When installing the same, it is important to consider where your temperature sensors are situation. They should be kept away from the sun to avoid wrong data collection. The run is known to warm them which are not a very good thing. They should also be kept away from roofs and structures that are known to provide heat of any kind. When it comes to installation, information is key here. Finally, a station might look like a little thing, but those little ignored things can dictate greatly in how the weather and its patterns will be operational. People buy stations but never get to see ample advice on the best location and how to use the same. Don’t just leave the shop without ample information as the stations don’t come cheap. Seeking information regarding its installation costs nothing at all and might be of great help in the long run. Safety is of crucial importance during the installation of a weather station and should never be overlooked at any cost. But those types of massage techniques are not everything, there are a lot more that these that I have said. A certain user will be able to sit in the certain massage chair and he or she can select what kind of therapy or what kind of massage technique he or she wants. Most of these certain massage chair rely on the certain combination of motors, or some gears, or some rollers, or some even vibrating mechanisms. If you are having a doubt when going to certain spa’s around your area, investing on one is very better. This will be one of the best purchases that you will make if you are going to take you time, if you will consider everything, if you are going to think more thoroughly to find the best one. When you are going to find some massage chairs that you will use, there are some things that you will be needing to consider before buying some massage chairs. Knowing yourself is one of the factors that you will be needing to consider. Why knowing yourself? You should know what you want, what you want when it comes to the features, if you want a certain type of massage chair that includes a massager also for your feet, if you want something that holds your certain cup of beverage or just your normal coffee, it really depends on what do you like. Next is you should know what functions of massage chair do you like, what are the types of functions that are essential for you. Do you want just a simple back massage? An upper back massage? Do you want a lower back massage? But not just that, you should also research the certain massage chair that you want to buy, but not also that but you also need to research other that might be better than the one you want. And also not just that but you will be needing to take in long term consideration. Fortunately, there are a lot of range for full body massage chairs that you will be able to check. So start on investing on one very soon!